Just exactly what is the Asian Century, and shouldn’t it really be called the China Century? It’s like the China Century is on the tip of everyone’s tongue yet no one dares to utter the name aloud for fear of offending an old friend or ally or giving China too much credit for something that many feel it doesn’t deserve or hasn’t earned. The most curious part of appending “Asian” to the word Century is that it doesn’t put a leader at the head of this new Century as there was with the 19th century’s “British Century” and the 20th century’s “American Century”. It assumes by the omission that all of Asia collectively, all fifteen separate nations, will lead, which both the 19th and 20th centuries have already taught us just isn’t going to happen. Although the phrase Asian Century originates from a 1988 meeting between Indian Prime Minister Rajiv Gandhi and China’s Deng Xiaoping, it really didn’t hit the mainstream until China’s meteoric economic performance over the last three decades, compared to that in the rest of the world. Suddenly the “Asian Century” was everywhere in the global media and on everyone’s lips, and everyone knew that it was China driving it all and awakening the world to the continent’s rising importance and power. China, now the world’s largest trading nation and with a GDP second only to that of the U.S., is Asia’s leader, plain and simple. Seems logical then that the century might well be more accurately and justly tabbed the “China Century”, which would then keep the continuity going from British Century to American Century to China Century, as well as to duly recognize the century’s most important leader and contributor to Asia’s economy. If automation and robot-driven automation are to be the powerhouses of Asia’s economic salvation, what the World Economic Forum’s Klaus Schwab and others are calling the Fourth Industrial Revolution (see: For Asia There’s No Turning Back), then it will take one or more Asian countries to step up and do the leading. To date, one and only one already has, and that’s China. China has dashed out ahead in the race to automation, which has caused competitors like Japan and Korea to revitalize their automation agendas in order to keep up, while also invigorating the ASEAN Economic Community (AEC) with expectations of East Asian largesse in the form of a steady stream of foreign direct investments (FDI), which is exactly what is taking place. Billions of dollars of East Asian FDIs poured into the ASEAN (e.g. China $275 billion (2017), together with millions more from VCs in Asia and the United States. By the end of 2014, China had already spread $870 billion around the globe, much of it to those in Asia. China’s FDI slowed dramatically in 2017. However, China’s outbound FDI flows have accounted for greater than 10 percent of the global total each year since 2009, hitting nearly 17 percent in 2016. The opening pair of words “In theory” is the tip-off about the direction of his “rethinking” article. “One in three people on Earth is Chinese or Indian. Northeast Asia — including China, Japan, South Korea and Taiwan — has enjoyed astonishing levels of economic growth since the latter part of the 20th century with booming export sectors and emerging middle-class consumer bases. Borders on the preposterous, yes? More to the point, which of the nations in this “new Asia” will lead, which are capable of leading the Asian Century? More importantly, which of these countries has the financial clout and technological expertise to ensure that the Asian Century is a true peer of its British and American counterparts. 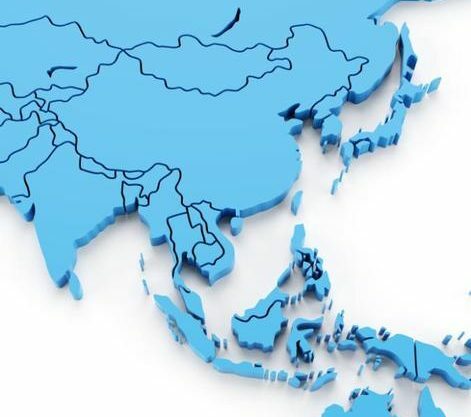 Which has the ability to enable and to uplift all of Asia? None of the “new Asia” nations named in the article has ever claimed to be more than an Asian country in need of help. And that’s not leadership. On November 15, 2012 everyone on the planet fully expected that the 18th Central Committee of the Communist Party would elect Xi Jinping as the General Secretary of the Communist Party and Chairman of the CPC Central Military Commission. He was. The following November, everyone on the planet fully expected the 3,000 members of China’s National People’s Congress (NPC) to rubber stamp that election with a 90 percent vote for Xi as President of the People’s Republic of China and Chairman of the People’s Liberation Army. He was by a whopping 99.86 percent. Totally unexpected, however, was that Xi Jinping would become the leader that he has, especially so after only two full years in office. He has another eight to go in his 10-year term. In a world where most leaders don’t or can’t perform up to their rhetoric, Xi isn’t one of them. He actually walks the talk. Like him or not, that’s a rare quality; and his actions have been totally unexpected by the West. The West figured and hoped that China’s new top man would carry on the decades-old mantra of the former Chinese leader Deng Xiaoping — “Hide brightness, cherish obscurity”. Elizabeth Economy, director for Asia studies at the Council on Foreign Relations, wrote about Xi: “Chinese President Xi Jinping has articulated a simple but powerful vision: the rejuvenation of the Chinese nation. It is a patriotic call to arms, drawing inspiration from the glories of China’s imperial past and the ideals of its socialist present to promote political unity at home and influence abroad. In any Western democracy, if a politician said he’d wipe out corruption, graft and government that caters to the wealthy; and if he promised to reform the financial system to work more for the people; and if he vowed to clean up the environment, the food supply and the educational system; and if swore to modernize manufacturing and production; and if he assured voters that he would maintain a strong military to protect the nation, as Xi Jinping has said and done, that Western pol would be treated like a demi-god and win elections with landslide regularity. Xi is delivering to his people what the rest of the world demands and never gets from its elected officials. To date, no Western pol has come close to delivering the goods. Meanwhile, Xi and his Xi-effect are charming his fellow citizens with his quiet demeanor, firm resolve and action. And his countrymen have bought into it; they dote on his every move. When the UK’s David Cameron took Xi to a pub to share a pint of Greene King IPA, China went wild and bought up every bottle of Greene King in the country. The man has character; and in an age where world leaders are all sort of middling in that respect, excepting maybe Germany’s Angela Merkel, Xi is head and shoulders above the crowd. It’s too early to tell, what with only two years in office under his belt, but Xi may well turn out to be one of the great leaders of the 21st century. Maybe he’s the kind of great leader that Admiral “Bull” Halsey meant when he said: “There are no great men, only great challenges that ordinary men are forced by circumstances to meet.” Xi Jinping certainly has challenges, some the most troubling and important in China’s history.